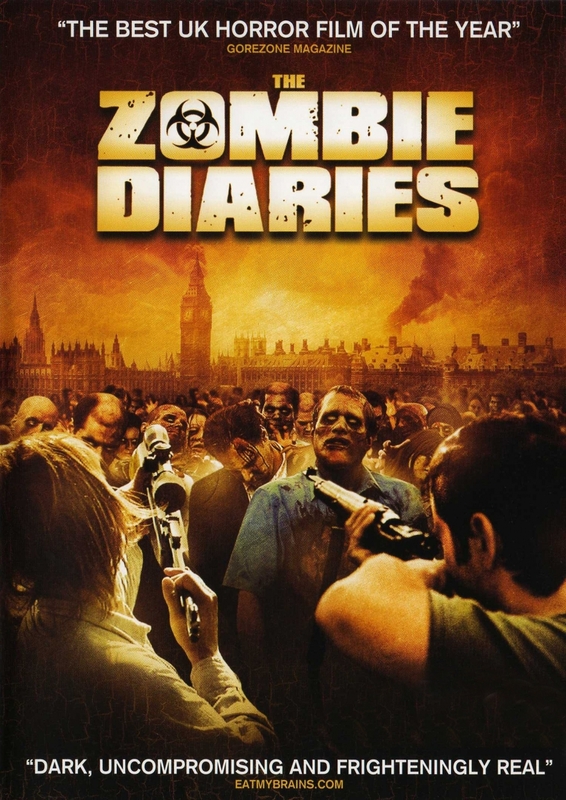 Quite early on in my evolving love for the Random Horror world, I was given a film called Zombie Diaries on DVD. It was released a short time before George A. Romero’s Diary of the Dead and was a British Independent movie. My feelings for this film are so great that I am breaking my usually rule of NO SPOILERS! That is all I will say on that! Zombie Diaries follows three sub-stories which all revolve around the arc of a virus which is slowly making its way to the shore’s of England. The first story finds us following a reporter and crew as they leave London following a lead on the virus. The story takes them to a farm in the countryside. Upon arrival, something seems strange and it isn’t long before the virus they’ve been hunting finds them! The second story feels more like something from a survival film. Three survivors make their way in a car to a destination unknown, with a gun and some fight about them, they search for useful parts in any place they can. 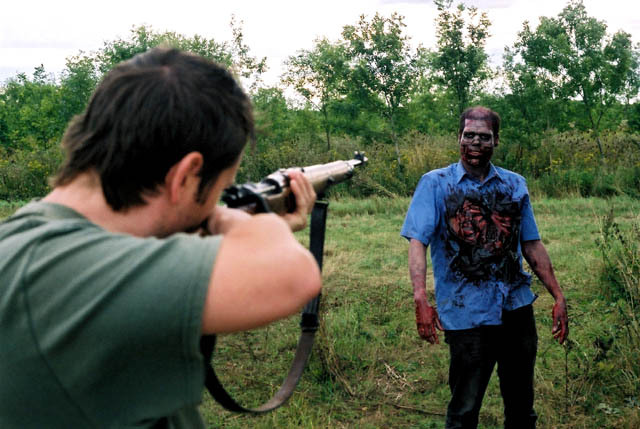 Ultimately though, the infected become a much bigger nuisance than they ever feared! The third story finds a well knit group of people hold up in a farm house. A bit of hostility towards one another slowly creeps in and upsets the fine balance that had been established within the group. As a result, the attention is diverted from the Zombies which start to make their advance! Much like the plot of the film, the quality is split into three sections. Unfortunately for Zombie Diaries, none of the sub-stories mean anything as the whole film is spoilt by the ending. A group of un-infected chav’s disturb the creepy tone which had built throughout the film and turn it into another run-of-the-mill slasher film, a direction which has plagued the UK Independent horror market in recent years. The empathy built and we all felt happy when the characters survived the Zombie horde’s. Only for them to be despatched anyway but not by zombies, no, Instead by some jumped up little pricks! In some respects, Zombie Diaries is a good example of solid British Filmmaking but only if you chop off the last ten minutes. Up to that point I was all ready to give this film a solid 6. However! With an ending that made the whole thing feel pointless and irritating, mainly because I had invested a lot of time and energy into the experience, I have no alternative but to completely disregard this film from my memory banks! Even after my original viewing fell into the abyss of my drunken sub-conscience, I gave it a second chance but low-and-behold, I was left wanting.... Wanting the last 81 minutes back! The acting for the most part is.... regrettably, forgettable! Some VERY wooden conversations between characters leaves the whole thing feeling extremely scripted, some very hard work is required just to get from one scene to the next. Some browney points are earned with the special effects which were quite impressive for a small production like this but ultimately, not enough to save the film from the chop! Never the less, I am a sucker for anything random so I shall be partaking in the sequel World of the Dead: Zombie Diaries 2, sometime soon.